“When I am president of the United States, right away I will end this ridiculous, insulting, un-American ban," Booker said. 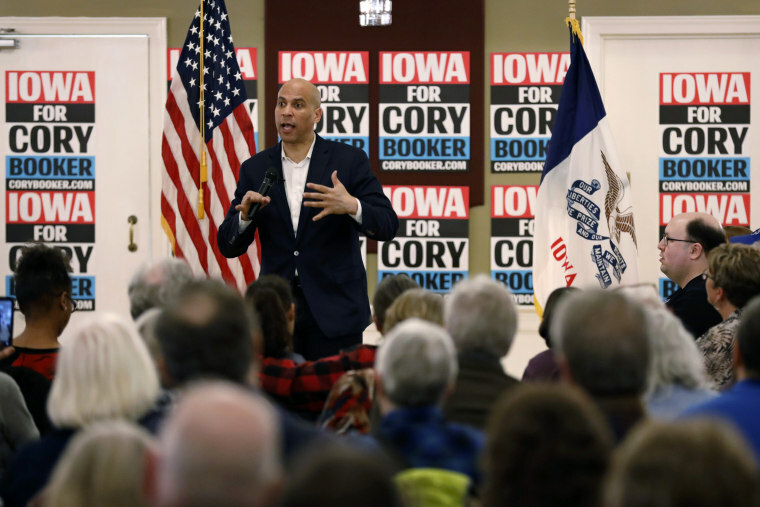 Democratic White House hopeful Cory Booker said Sunday night he would reverse President Donald Trump’s ban on transgender individuals serving in the military if elected president. “When I am president of the United States, right away I will end this ridiculous, insulting, un-American ban on transgender Americans serving in the military,” he said to cheers from the crowd. It was one of a handful of Trump Administration policies he pledged to undo if elected president, including Trump’s tax cuts and his revocation of protections from deportation for undocumented immigrants brought to the US as children.